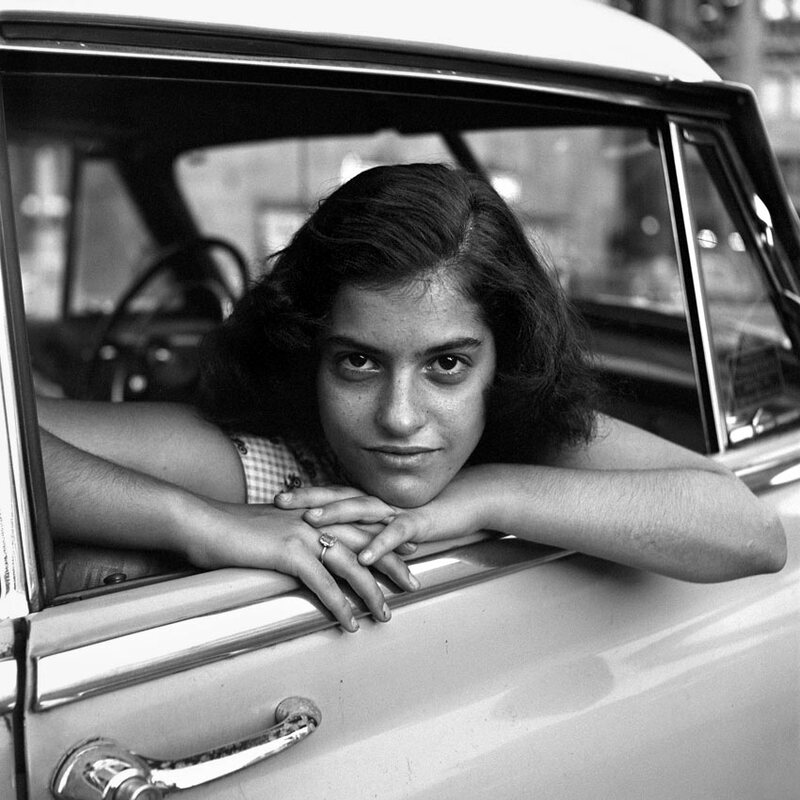 Vivian Maier, whose photography has only recently come to wide attention, was born just 9 years after Brennan in 1926. Both were emigrants—Brennan grew up in Dublin then Washington D. C. and came to New York in the 1940s. Maier spent much of her childhood in a haut alpine village in the South of France and returned to New York, where she had been born, also in the 40’s. Was it their foreignness, in an era when America floated bright promises abroad, that made the gritty realities of the street so hypnotizing when they arrived? Week after week, in a rented room in one hotel or another, Brennan looked down on the street below and captured what the crowds rushing by did not see. In I Look Down From the Windows of This Old Broadway Hotel, she describes the rooftops of Times Square and a trombone player working a Broadway show who, in between performances, often came to the roof. The year of the falling letters was 1969, and Brennan’s assignments from the New Yorker were declining. She began to be seen as a ghost at their offices near Broadway and 43rd St. Brennan had entered New York literary circles as a petite and chic Irishwoman in the 1940s. Photos from her early years show the bright intelligence with upswept hair, the steady eyes. Then, beginning to look seriously over her shoulder. 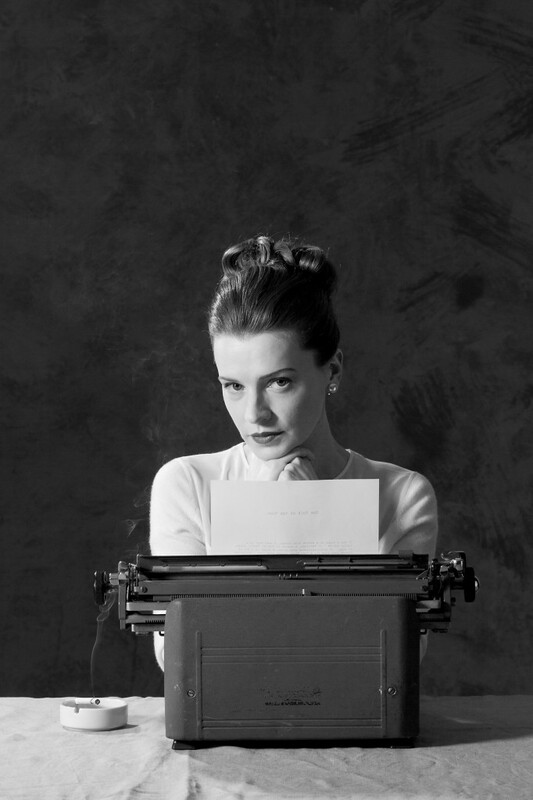 In 1954 she briefly married the wrong man, an alcoholic womanizer and fellow writer. By the 1970s Brennan herself suffered from alcoholism and increasing paranoia and was rumored to sleep in the restrooms of The New Yorker. Colleagues and friends tried to rescue her from time to time offering funds and occasional refuge. Her homeless state ended at a nursing home in Queens where she died in 1981. Brennan had written stories and The Visitor, a novella which hint at cruel family treatment at home in Dublin. 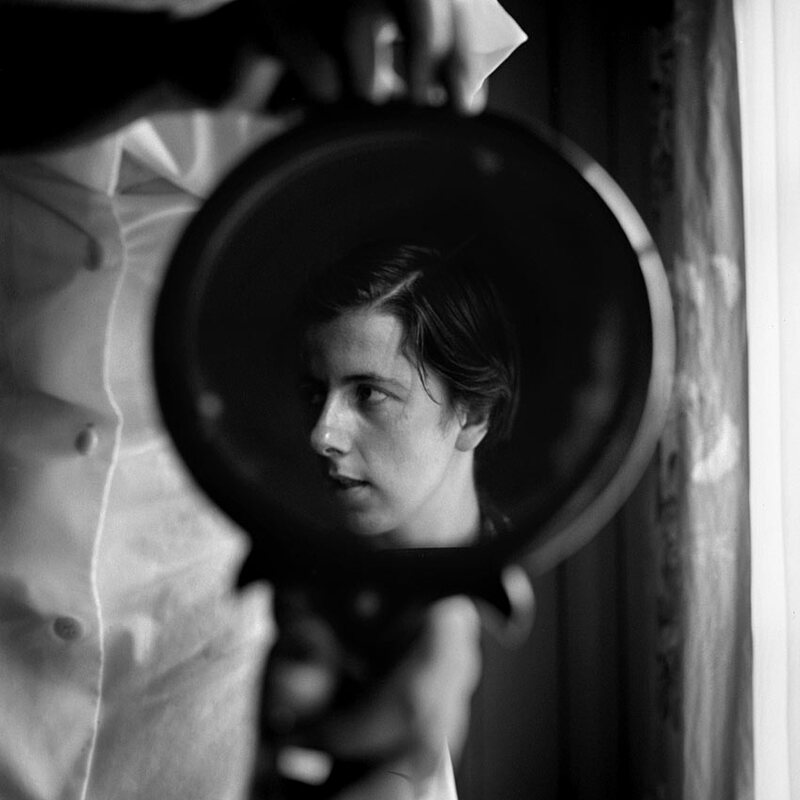 She shares these mysteries of an abusive past with Vivian Maier who returned to New York from France in the 1940’s. 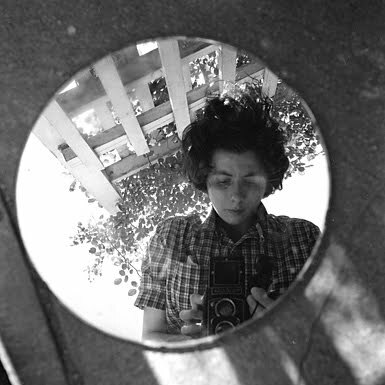 The documentary film Finding Vivian Maier suggests a troubled childhood recorded only in the recurring themes of Maier’s obsessive collection of newspaper clippings. When she left France she was armed with a camera and had been taught photography by her mother. Back in the States Maier found work as a nanny and enjoyed the freedom it gave her to walk the city, first New York and then for 40 years the streets of Chicago. The viewfinder of her Rolleflex allowed her to take street portraits unnoticed and include herself in reflective surfaces and shadows. Like Brennan, these early self-portraits convey Maier’s innocence and curiosity adapting itself to the craft. The life of the city caught in Maier’s poignant split-second compositions are as accomplished as the ‘decisive moments’ of Cartier Bresson and Robert Frank. That Maier never chose to share her photos or even develop some of her film suggests that it was the second of capture which gave her pleasure. She wore the camera everywhere, always alert to what might transpire. Maier recorded subtleties of affection with respectful distance but not, perhaps, without longing. And she had an apparent fascination with aspects of personality, how a single look can convey a whole world view—how the God in details places us in the spectrum of fortune and fate. For all her reputed shyness, many of Maier’s subjects gaze back with a complicated but open trust. In a photo from her early period, in the mirror a man is removing from a truck, there is Maier—smiling. She’s caught the rare moment that only she noticed, and captured herself too. While a testament to her talent, it is the best clue to her satisfaction. Like Brennan, Maier’s eccentricities grew exponentially over the years and became more isolating. The kindness of past employers kept her from being homeless, and a fall on ice also led to a nursing home in her last days. She died in 2009 at age 83, having outlived Brennan by just a few years. Maier and Brennan mined city life for the sorts of meaning that make humanity a shared experience. Like Emily Dickenson, their thoughtful observations were made in isolation. The path of their lives, the challenges age poses to sensitive creative souls, can hopefully enlarge our understanding and care for everyone we encounter, especially those who are the easiest to overlook. And their works, the collections of Maier and Brennan, encourage us to pause and consider, to take the time and have the courage to make sense of what we see. Note: This essay is copyright 2014, D. L. Pughe. The quote defining poetry at the end of the first paragraph is by my dear friend, Margaretta Lovell. All photos except for the 3 of Maeve Brennan are by Vivian Maier and copyright is primarily with: John Maloof’, who purchased a large portion of Maier’s work at auction, Jeffery Goldstein also controls a substantial number of images and Ron Slattery, who bought a smaller collection of Maier’s negatives and prints in 2007, before her death. 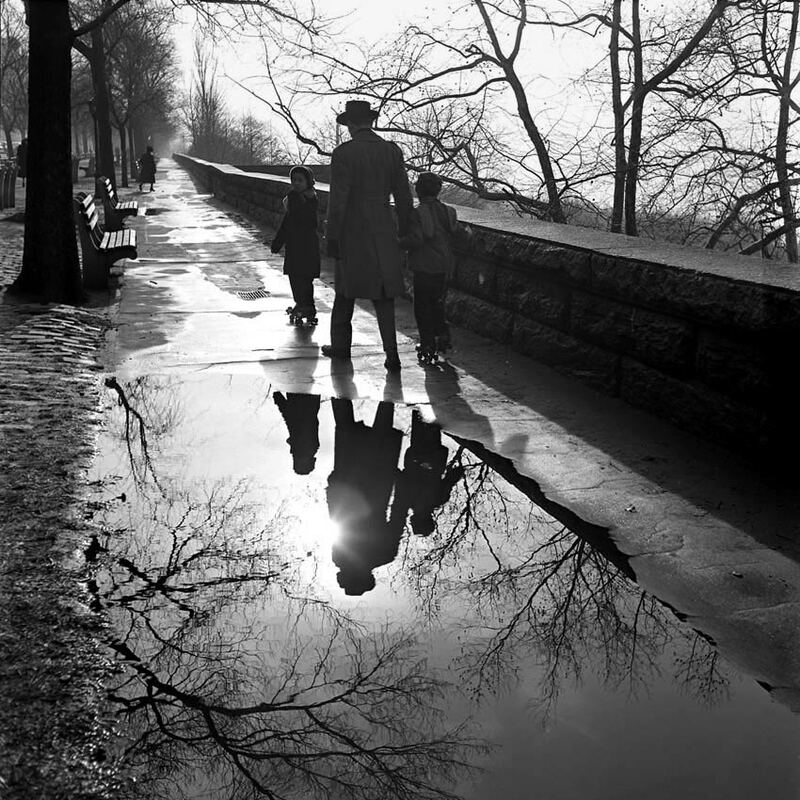 yesterday, in paris, i finally had a chance to discover who Vivian Maier was — or rather, get glimpses of it, as my mother and i saw the documentary. i was stunned, shell-shocked by the sensitivity and poignancy and immense beauty of her art. raw genius of the most delicate and moving kind. moving right to the core. not surprising that you would resonate with her and write this post. and for my mother and i, it was the first movie, and one of the first leisurly respites in epic months. indeed, my father’s health deteriorated gradually (i left California in may to be with him) and after incredibly intense weeks, he left us at the end of june. we flew to Israel to have him buried there as per his wishes — we found a wonderful intimate place in a serene and peaceful forest and the splendid Judean hills. we sat in Israel for shiva , held by a deluge of warmth, care and affection from friends and family (and with the missile attacks’ ‘get-in-the-shelter’ sirens as a surreal backdrop). we then came back to paris in a mad and exhausting whirlwind of logistics and administrative duties. these are the first more quiet and gentle days. though tomorrow we have to return to Israel, for more logistics and some other sagas with mother’s mother . i guess i have not had a chance to process it all, as we have been in such a constant whirlwind of “logistics” but we shall see how it feels — partly as a “new page” for sure. i hope to be back in California later this month, and perhaps in your area at some point in september. will you be there? please tell me how you have been ?